Unlimited Hot Water with Tankless Hot Water Heaters: Alberta Government Rebates available! Did you know the Alberta Government offers rebates up to $1000 for installing a tankless hot water heater?  Hunter's Heating customers have received over $10 000 in rebates so far this year, with the average rebate being $900 for customers replacing a traditional hot water tank with a tankless unit. Unlimited hot water and cash back is pretty nice, but there are a lot more reasons (10 to be exact) to install a tankless hot water heater in your home. 1. Tankless hot water heaters are 96% efficient as opposed to 55% for a natural draft hot water tank. This will save significant money on your gas bill. Tankless units only heat water when you are using it as opposed to all the time, saving $$. 2. If you choose to use our financing option, the payment for your tankless hot water heater would potentially be paid for by your gas bill savings. 4. Tankless hot water heaters are direct vent appliances, which means they are a lot safer than natural draft hot water tanks, because there is no potential for carbon monoxide produced by negative pressure in the home. 6. You might be hesitant to get a tankless unit because you have heard that they are very slow to get hot water to the taps. Current units have a 20-30 sec delay from straight cold and the flow is very comparable to standard hot water tanks. 7. Tankless units saves space in your mechanical room. 8. Tankless units do not need to have to have a water softener installed for them to work, however, just like any appliance, they will last longer without the extra strain of Calgary's hard water. 10. At this busy time of year, it might be nice to be able to run the dishwasher, a load of laundry and bath the kids before company arrives all at the same time!